It’s been an incredibly busy week for Basketball junkies here in the Philippines. Of course, NBA Free Agency has led the charge when it has come to the discussions that are occurring on Basketball Twitter, but the PBA Finals also took center stage when it came to talks on the internet. 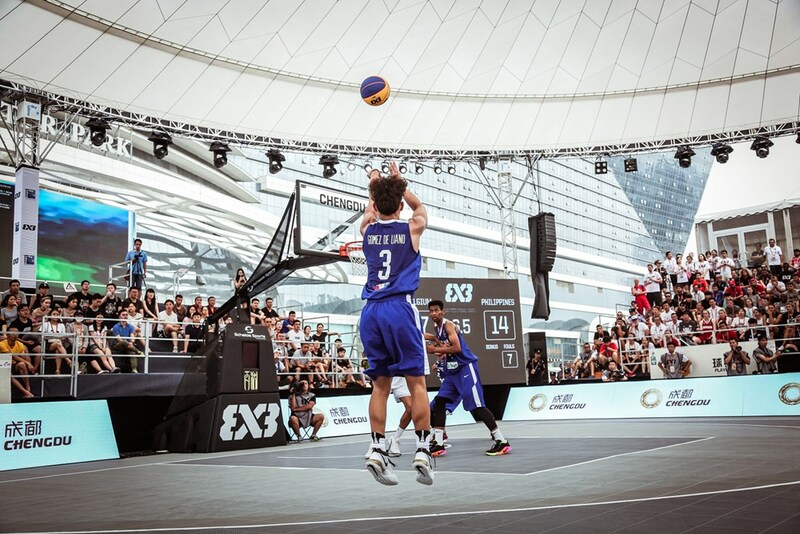 Trapped in the middle of all the talk on the internet regarding the two professional leagues was the performance that our FIBA 3×3 U18 World Cup team put up in Chengdu, China. The team bannered by Juan Gomez de Liano, Encho Serrano, Rhayyan Amsali and AJ Edu managed to eke out a 7th place finish in the tournament, taking on the distinction as the only Philippine and Asian team EVER to finish that high in a FIBA 3×3 U18 tournament. It’s practically pointless to discuss what it took for the team to get there considering that the tournament is finished already, so instead, we’ll be discussing what are some of the things that we can take away from the performance of the players from this competition. After all, 3×3 is the kind of tournament that’s perfect in showing a player’s individual abilities. After the Philippines lost to Belgium meaning that they were officially eliminated from title contention, the general feeling regarding the finish was, “Great job boys! We’ve never been here so well done!” There’s plenty of reason to feel proud about what the team did. It’s certainly a step in the right direction. But at the same time, there’s that part of you that can’t help but say, sayang. There were instances in the tournament where the height difference between the Philippines and the opposing countries proved to be too much. Even though 6’8″ Edu was there helping out the team, it’s tough having to deal with three 6’5″ players with versatile skill sets and decent athleticism all at the same time. Serrano showcased his bunnies a lot in the tournament, but his lack of size showed against teams like Belgium and the Netherlands. This tournament is certainly a step in the right direction when it comes to 3×3 basketball in the country. But the country can’t settle for just a 7th place finish. By all means, aim for the top, no matter how tough it’s going to be. It’s a matter of allocating the necessary resources so that our 3×3 teams can flourish internationally. Edu attacks off the dribble with no hesitation. It’s a quick move, and you can see that his handle is solid enough for defenders to have trouble trying to strip him of the ball. At the same time, he has the patience to operate down low, with perfect timing to put up the high percentage shot. Aside from his ability to attack off the dribble, Edu’s midrange game and capability to defend multiple positions are what makes him such a special player. Will he be Japeth Aguilar potential realized? That’s definitely on the table considering how well he performed for his first run as a Philippine team member. Calvin Abueva has been the standard when it has come to undersized Filipino basketball players. The Beast is essentially a combo forward who has the size of a wing player. He’s improved his skills as a wing, for sure, but at the heart of it all, he’s still a combo forward through and through. Despite that, he’s flourished not just in the PBA, but internationally as well. Very few players can do what Serrano did. Even fewer players his size can replicate that. There’s still a ton of things that he has to work on if he hopes to have the same success as Abueva. His handle still needs some tightening, and his jumper needs to be more consistent. In order for him to reach his fullest potential, Serrano has to learn to play the point guard position. He’s still young, after all, so he has plenty of time to work on that part of his game.